Do you see potential in your kid as a future tennis star? Is your child bugging you about tennis? 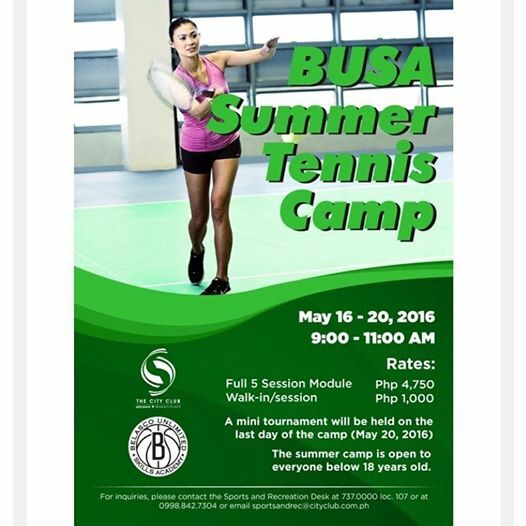 If you answered yes to the two questions, I suggest you enrol your kiddo at BUSA Summer Tennis Camp, which will be happening on May 16 to May 20, from 9 to11 AM, at Alphaland City Club. The coach will be none other than the beauty queen Mafae Yunon-Belasco (Bb. 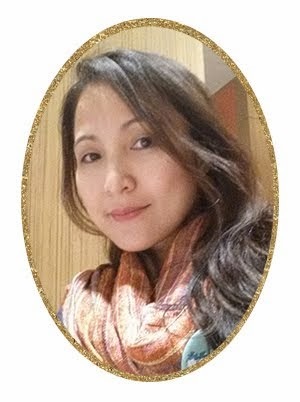 Pilipinas World 2003 Maria Rafaela Verdadero Yunon-Belasco and Miss World 2003 Top 5 Finisher).